I had an Amalgam filling about 6 months ago and to be honest thought nothing of it, I was more concerned about my teeth being fixed and being at the dentist and letting him do his magic made me feel safe and confident in whatever the hell he was doing to me. Only recently have i become aware of the fillings that are used to fill a cavity and i was slightly worried because from the pictures online and then looking in the mirror i knew i had an Amalgam Filling. I really should of gone to the dentist and asked them: are amalgam fillings dangerous. So today i want to share with you my findings on this matter and to see weather we need to be concerned or are we over exaggerating things. everywhere in the environment, so even without amalgam fillings we are all exposed to certain levels of mercury in blood and urine anyway. It is apparently an excellent and versatile dental restorative material and has been used by dentists for over 150 years. The reason for their use was due to the low cost, ease of application, strength, durability and bacteriostatic effects. Usually liquid mercury is mixed in with powdered alloy of silver, copper and tin to make a strong filling. Mercury’s unique properties (it is a liquid at room temperature and that bonds well with the alloy powder) make it an important component of dental amalgam that contributes to its durability. When you are at the dentist’s chair for a filling, he/she will first drill a hole into the affected tooth to remove the decay first. They will then shape the cavity of the tooth so that the amalgam filling can be placed in. Next, the dentist starts to mix the powdered allow with liquid mercury to form a putty. This will be placed and shaped into the affected cavity and hardens very quickly into a filling. Is Mercury Really That Dangerous? The most dangerous mercury compound, dimethylmercury, is so toxic that even a few microliters spilled on the skin, or even on a latex glove, can cause death but this is quite rare to be found in the open environment so dont worry. Mercury is found everywhere in the environment and us humans are constantly exposed to this via food, air and water. Exposure to mercury in human individuals with amalgam restoration occurs during the placement or removal of dental restorations. Once the reaction is complete, less amount of mercury is released, which far below the current health standard. 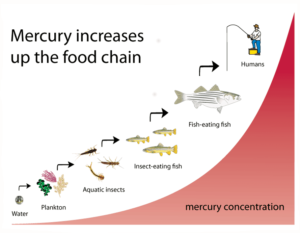 The exposure to mercury from restoration depends on the number and size of restoration, composition, chewing habits, food texture, grinding, brushing of teeth, and many other physiological factors. The American Society of Dental Surgeons declared that amalgam use was malpractice in 1843 due to the fear of patients and dentists suffering from mercury poisoning. It told all it’s members to sign an agreement which stated they would not use it. This caused problems for the society because membership numbers were declining due to it’s stance against amalgam and eventually the organisation was put to an end in 1856. 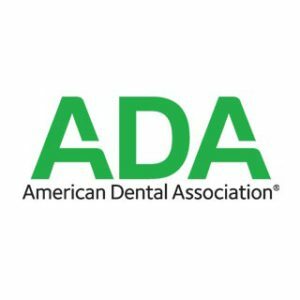 In 1859, the American Dental Association (ADA) was created and people were wondering if this organisation would do the same as it’s predecessor but no, it allowed the use of Amalgam fillings. But claims of amalgam hazards continue to be published in non-scientific journals, and occasionally in scientific journals. What we really need is a the whole dental community to come together and do thorough testing and research to come to a concrete answer, because this topic will keep being a talking point among many people around the world. In 2009 The FDA made a telling change after it had reviewed a journal with scientific evidence suggesting serious health hazards can be caused by mercury being used as a tooth filling mainly because of the vapours that are released in the mouth. July 28 2009 marked a big change as the FDA issued a reclassification of mercury from a class I (low risk) to a class II (high risk) device. It also produced a controls guidance document in which they state that mercury amalgam release low levels of vapour that if present in high enough dosage can cause serious neurological health defects in people. This shows that even the FDA are concerned about the risks amalgam filings cause but it’s not enough to warrant a serious overhaul. Surely there are better alternatives right? What Alternatives Are There To Choose From? Most people who have the choice go for these fillings because the white colouring matches the tooth better and it isn’t too expensive. They are made with a mixture of glass and plastic. Composites are also used for cosmetic improvements of the smile by changing the colour of the teeth or reshaping disfigured teeth. One of the main objections or criticism of this type of filling was that it wasn’t as durable as silver fillings but recent studies have shown this argument to be redundant. One study was published in 2016 and conducted on over 75,000 patients for a ten year period found that posterior amalgam fillings had a higher annual failure rate than composites. 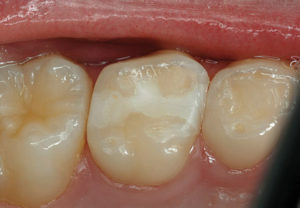 This type of filling is used routinely as a cement for inlay fillings. It’s used for fillings in front teeth, around the neck of the teeth or in roots. This filling is used in people who have alot of decay present in the part of the tooth that extends below the gum line. Also referred as direct gold, is the most long-lasting and hard-wearing filling material and will last for many years. An advantage of gold is that it does not tarnish and has great strength. One of the differences between gold and other filling materials is that the gold filling is made in a laboratory. Your dentist will usually take an impression of the prepared cavity and send it to the laboratory to make the inlay or onlay. In the meantime, a temporary filling will be placed in the cavity. After the gold inlay or onlay has been made, your dentist will fix it in place with dental cement. This type of filling is more expensive but lasts much longer. Should I Remove My Amalgam Filling Or Is It Okay? If you have had a filling for a good period and it has not had any adverse effects on you and there is no decay beneath the filling then it is recommended that you keep your amalgam fillings in place. There’s no point removing secure fillings and if you do remove them, it might result in undue loss of tooth structure and more ironically expose you to more mercury vapour during the removal process. If however, you think you have some sort of sensitivity or allergy to mercury or any of the other metals contained within the filling you should discuss this with your dentist or doctor to talk about possible treatment options. We have also searched up on this subject for a lengthy period of time and have not come across journals that definitely point towards any significant health risks of using mercury fillings. We say this because there have been many experiments carried out on adults and children looking at the effects of mercury fillings compared with composite fillings and in all of the cases, no differences in health risk were noticed. For thousands of years our ancestors only used natural methods found in nature to heal themselves of all sorts of problems and this was well before any technology. This should tell us something profound…. which is that we can heal naturally if we know where to look and how to do it. We know it’s too late to heal teeth that have already been filled but you can stop further tooth damage by becoming more conscious of your oral hygiene and implementing natural sources of treatment alongside the usual bushing and flossing but then again most adults don’t even know how to brush their teeth properly which is quite embarrassing to say the least. If your reading this you might be one of those people. 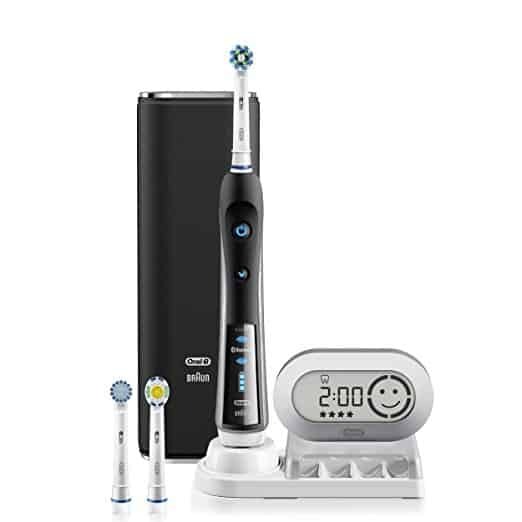 But in recent years technology has advanced and we now have electric toothbrushes which do most of the work for you. 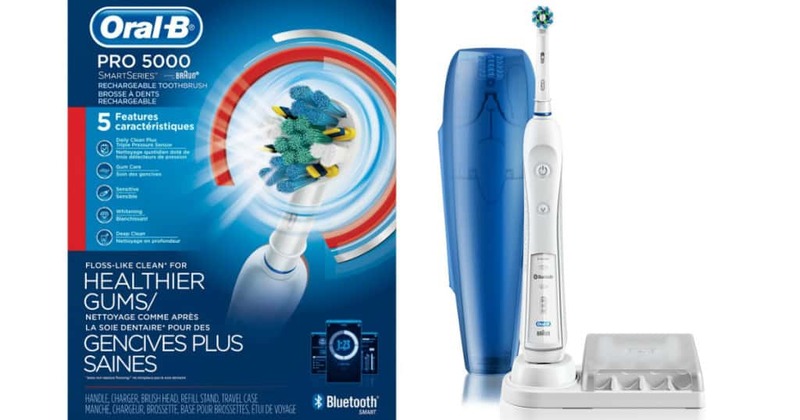 Check out this article on Electric Toothbrush vs Manual Toothbrush to see what i mean. Most conventional dentists will never tell you that cavities are reversible. They also won’t warn you that your current or future amalgam fillings can affect your health negatively. Do a little homework yourself and see weather you can find a dentist who is more holistically minded and shares the same concerns as you. They can also give you alternative ways to fix your teeth health. 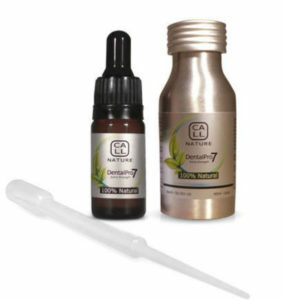 One product that we have come across that has been making headline news is: Dental Pro 7. It is a natural product that has helped 1000’s of people fix their gum problems and could potentially help you too. Read the full review here ——-> Where Can I Buy Dental Pro 7 And More Importantly, Does It Work? If you have any questions around today’s topic which we are sure you will, then please take a moment to leave a comment below and hopefully we can discuss things further. P.S. before you go please take a moment to visit our Youtube channel: TeethMastery101 and our Facebook page: Unofficial Oral B.
I have been having those for years I’m not sure if that really has affected, luckily I’m a cancer-free. But it makes sense what you are pointing out. Mercury is a really harmful metal and can cause severe damage. I wish I had the gold filling none the less haha. Pointing people out for not brushing their teeth you made me burst out loud. It might be true I am not even aware how I brush my teeth. To be quite honest with you, i have also got amalgam fillings and never really noticed any major problems regarding my health. Studies that are out there also downplay the risk of mercury but if i had a choice i would go for composite fillings. Alot of people are in a rush in the mornings and that leads to improper technique and being too harsh on the teeth. i did this myself but after my last visit to the dentist i got serious about my dental health and want to create that same urgency in others. Personally, I have some amalgam fillings myself. It was added to seal my cavities from at least twenty something years ago. Fortunately, only small amounts of mercury vapors are released at a time, or I would have been dead by now. Maybe next time I should go to a dentist to get composite fillings instead. Do you think it is still a viable option after such a long time? 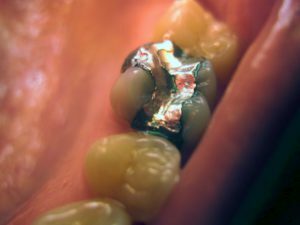 Mercury is found everywhere in the environment including our bodies, and there is no journals that have definitely proven that mercury amalgam fillings cause major damage. You are right about small amounts of vapours being released. That’s scary that these types of fillings are regularly used and can have such negative effects. And unlike the fish we eat that might have mercury in it, then these are in your mouth perpetually and can always be causing damage. It’s great that there are different options for your fillings but do dentists usually tell you which kind they’re using? Do they give you a choice? When i went for a filling about 6 months ago the dentist did not tell me anything, i basically just sat in the chair while he worked his so called magic. It was only recently i realised that i had an amalgam filling in my tooth and was slightly worried but i dont feel ill or unhealthy. In my opinion, dentists have become use to patients not asking any question and just get on with the easiest route to fixing peoples problem. I reckon if it’s a private practice they will discuss the different treatment options available to you but of course alternatives cost a bit more than amalgam fillings. 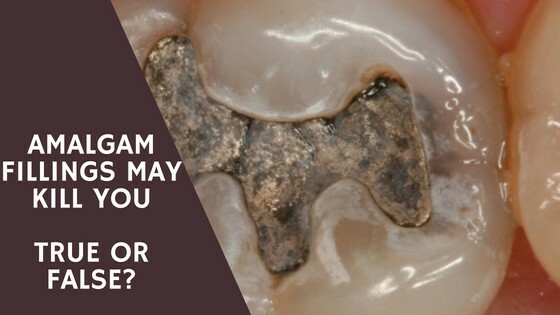 Amalgam fillings are not just dangerous but I have seen studies linking amalgam fillings to a whole host of diseases including heart disease, alzheimers, sexual dysfunction, kidney failure, bladder stones you name it. 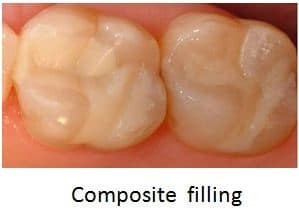 I like the picture of the composite filling because apart from the fact that composite fillings are much safer, they don’t cause problems with bad breath like these mercury fillings do. There a studies out there that have linked mercury with certain diseases but that’s only if the mercury levels are quite high. You only get vapours being released by the amalgam fillings and the levels are not dangerously high for it to case a serious problem. That being said i would recommend you get alternative fillings if possible just so you don’t have the lingering feeling at the back of your mind. Composites would be my first choice aswell. Thats a good point Themba, if amalgam fillings were to be discontinued it would mean alot of dental practices would be struggling. Amalgam are relatively cheap compared with composites fillings and many people cannot afford them. In regards to natural, it’s true that our ancestors used their surroundings to perfection and we are slowly but surely going back to basics. It’s hard though with all the latest technology and artificial chemicals.